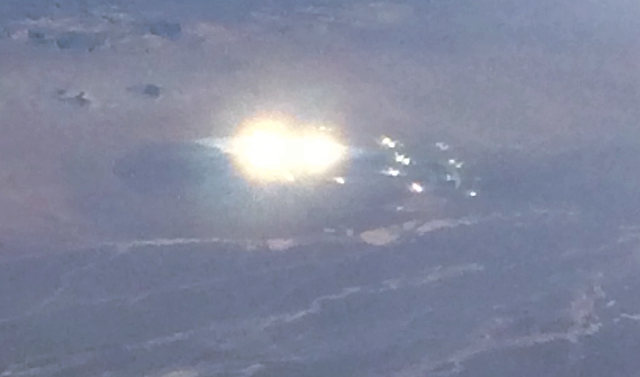 UFO SIGHTINGS DAILY: Passanger On American Airlines Sees UFO Over Gabbs, Nevada On Oct 2015, Photos, UFO Sighting News. 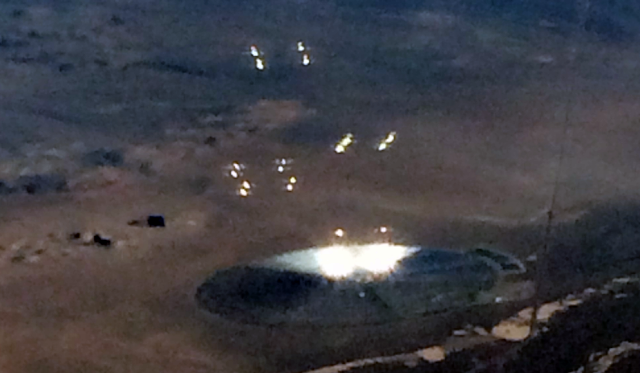 Passanger On American Airlines Sees UFO Over Gabbs, Nevada On Oct 2015, Photos, UFO Sighting News. This disk formation on the ground does have the appearance of a landed UFO on the ground. Gabby is about 140 miles south west of Area 51 and Area S4. The person caught a cloaked UFO in the area. 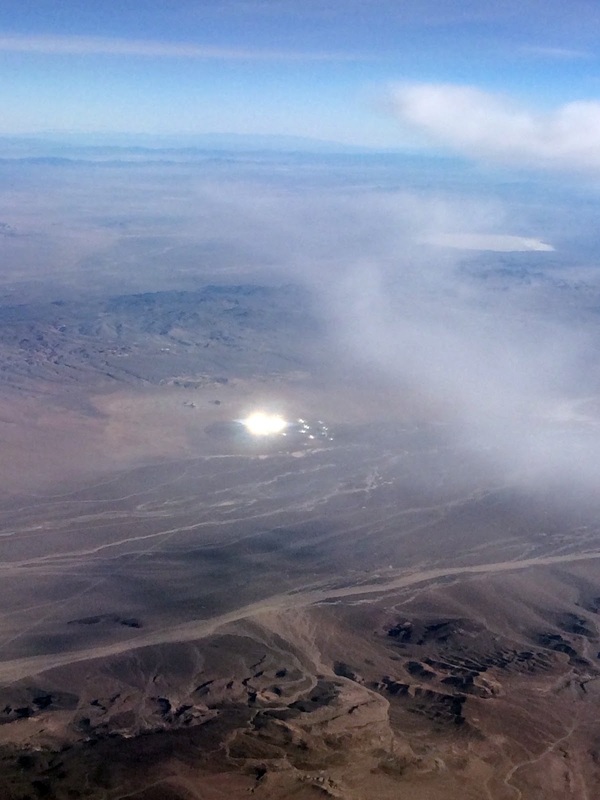 The metallic of the UFO is partly exposed and I'm sure it wasn't for long. 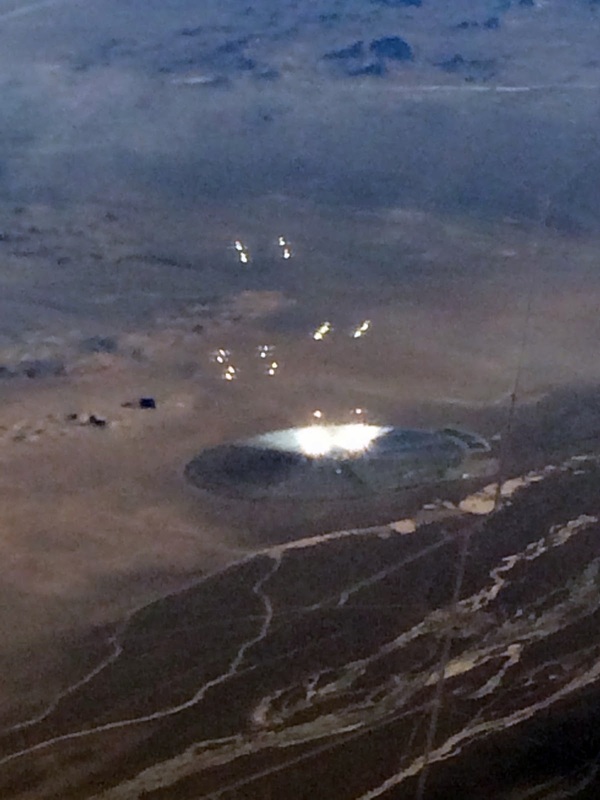 This UFO is partly cloaked to look like the surrounding area. Some cloaks make UFOs appear as clouds, others invisible, this one...is trying to blend in with the surroundings. I believe it was landed, but the suns angle caused it to be revealed since the angle of view matters to keep an object cloaked. The objects over it are also suppose to be cloaked. Amazing catch. I was on an American Airlines flight from San Jose, Ca to Houston, TX on Oct 30, 2015 when I noticed a blinding bright light in the desert near Luning and Gabbs, NV. I watched the object as the plane advanced. I saw a large silver disc that appeared to be in the middle of the desert. This disc was shooting orb like lights into the air. The disc itself had multiple lights that were blinding to the eyes. I pulled out my phone and took pictures until my phone died. I had a full battery but was only able to get 6 pictures before my phone was depleted. The captain never said a word and the plane advanced until the object was behind the mountain range. No other passengers seem to notice the disc or comment on it. Upon my return home; I asked multiple Air Force employees if they have ever seen anything like this and all replied never. Initially I thought it was a satellite but now leave it up to your interpretation. What the hell did I witness?